In case people are wondering if I'm still practicing Education for Life in my public school classroom the answer is a resounding, "Yes!!" EFL is becoming part of my DNA. I work with a whole new batch of 6th graders every year which lets me reuse and expand the activities that I liked, that worked in the previous two years, and that I feel will benefit this year’s 6th graders. One thing that I am doing this year is extending the Personal Excellence qualities or universal principals from previous years. I’m using a “Word of the Month”. This is not a new idea. What is different is the depth of use. Whatever quality I pick is our theme for the month. For example, I chose “Helpfulness” for September. Being helpful is an activity that will lead the students to begin the year successfully, allow them to experience the joy of giving to others, and help them to be the type of person others would want to include as their friend. I went ahead re-wrote and tailored it to “Random Acts of Helpfulness”. 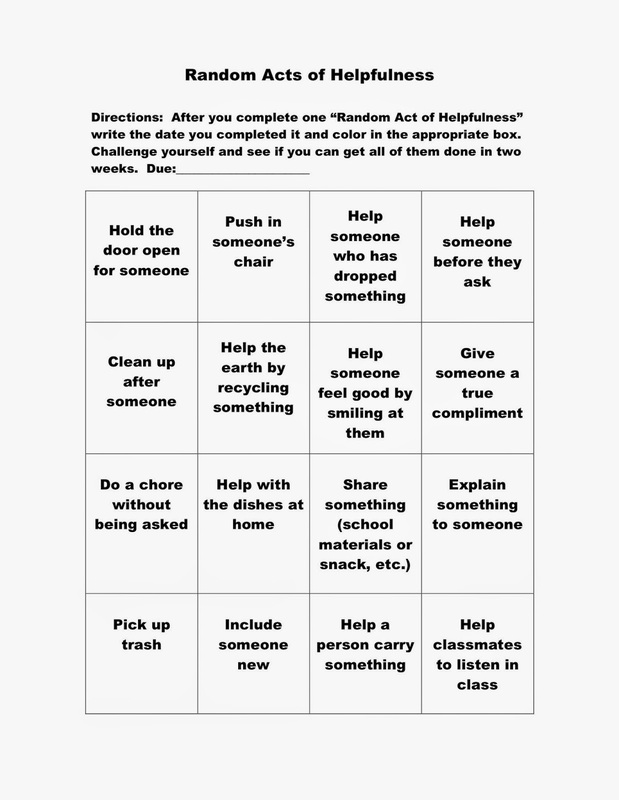 By the end of the month the students were in the habit of looking for ways to be helpful in class, at school, at home as well exercising their will to finish the challenge of finishing the "Random Acts of Helpfulness" board. 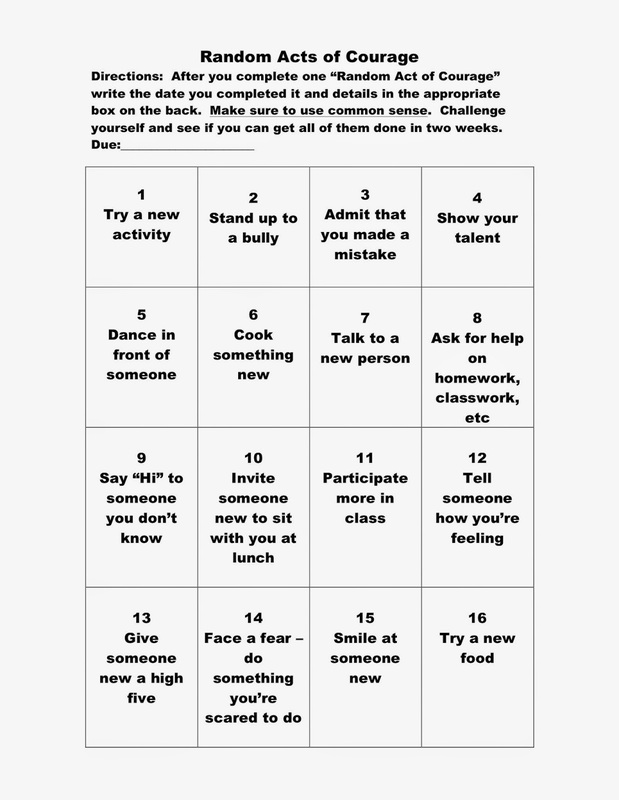 For October the word is “Courage” and within a few days of practicing courage the students were clamoring for a “Random Acts of Courage” handout. They were having a hard time figuring out how to be courageous and they wanted the challenge of trying to finish 16 acts of courage. At first they thought courage meant things like saving someone from a burning building. But soon they realized that it's the small acts of courage that prepare you for the bigger acts of bravery. This time they came up with all 16 acts of courage ideas themselves and I just wrote it up for them. This is what they picked.